The Oakley brand never seems to be happy with where they’re at. They're focused on continually reinventing how we see eyewear and how we see out of it. 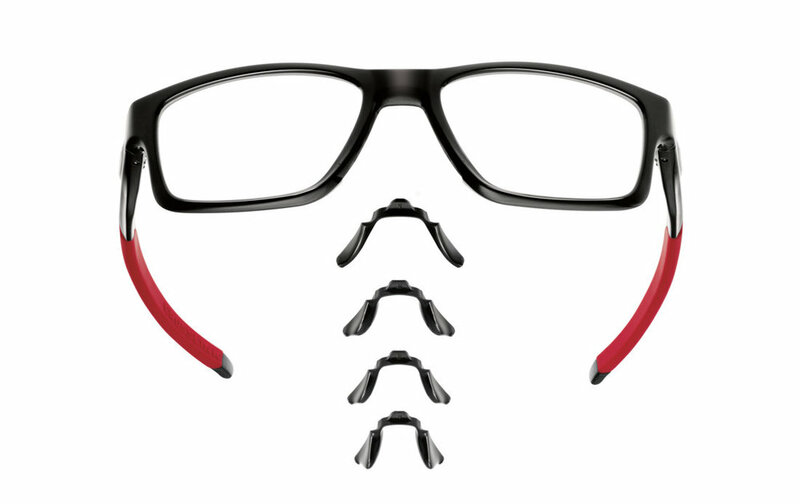 The latest new eyewear concept from Oakley is called TruBridge MNP or Modular Nose Pad. This system enables a Licensed Optician to interchange 1 of 4 different nose bridges into the frame to allow for the perfect fit. The TruBridge Modular Nose Pad system allows for improved frame comfort as well as allowing the optician to balance the frame so you are looking through the optical centre. This centric lens positioning helps improve visual quality, maximizing the prescription given to you by your optometrist. Oakley is rolling their new TruBridge Modular Nose Pad system out in their four most popular ophthalmic eyeglass frames for fall of 2016 - Crosslink MNP, Chamfer MNP, Marshall MNP and Cloverleaf MNP. The Oakley TruBridge frames are now in-stock at eye-bar, so hurry in. Be the first eye-bar customer in Sherwood Park to own a pair of TruBridge Oakley eyewear.